Historically, a Postage stamp began as a piece of paper, a receipt denoting a specific value, which was a token of prepayment for postal service equivalent to its face value. 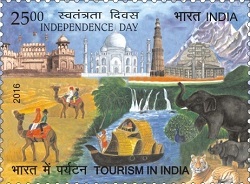 Over a period of time, however, the postage stamp has evolved into an article with diverse functions ranging from its original role, to functioning as a tool for celebration and promotion of a nation’s heritage, and, as a collectible item, of both intrinsic and actual value, which may differ greatly from its postal value. Postage stamps perform multifarious roles of being the paper ambassadors representing their country of origin, to being brand images of their postal administrations, promoters of the image of a nation ,and , as collectibles. The universality and history associated with the postage stamps attaches to them an aura ,which is far beyond their physical form. 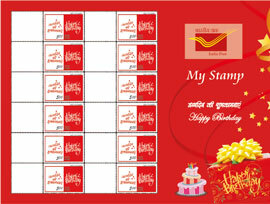 The purpose of this website is to enable every visitor here to trace the rich historical and cultural wealth of our magnificent country, through the vast and wonderful world of stamps. This web site belongs to Department of Posts, Ministry of Communications, Government of India.